All BIG KING SALMON CHARTERS skippers are US COASTGUARD licensed and fully insured. Your safety and comfort are our number one priority. At BIG KING SALMON CHARTERS we specialize in world class salmon and bottom fishing trips on the beautiful and calm waters of Puget Sound. In addition to great fishing you will have the opportunity to see variety of wildlife from bald eagles to whales seals gulls, and various feeding birds. 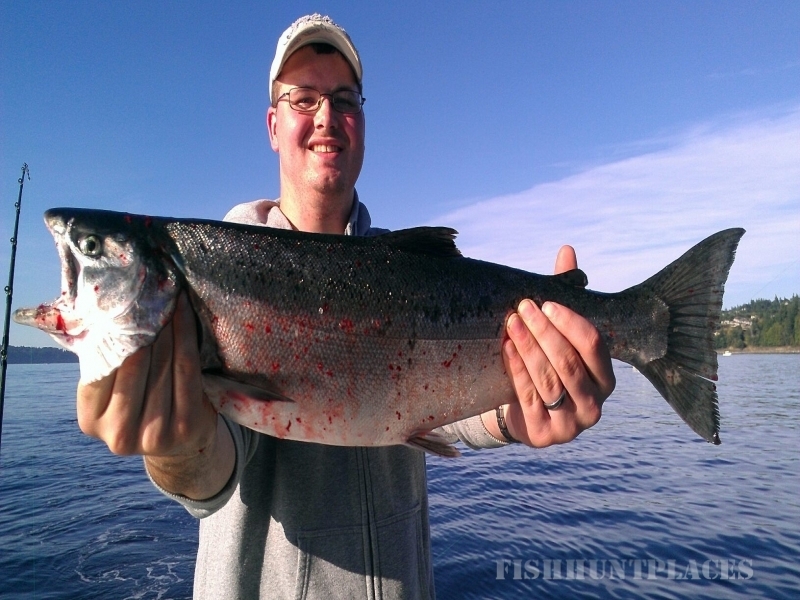 BIG KING SALMON CHARTERS features custom six passenger trolling boats. All boats are fully equipped with the best gear and tackle provided. All boats are equipped with electric downriggers loran GPS Radar Digital fish finders Restrooms and fully enclosed cabins available when you want to get out of the weather. 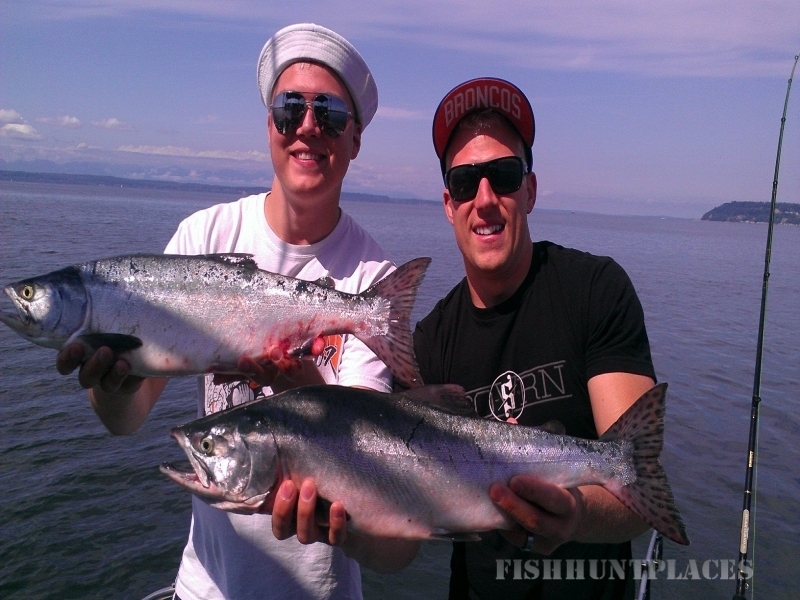 BIG KING SALMON CHARTERS is Seattle's premier fishing experience. BIG KING SALMON CHARTERS is the perfect choice for entertaining business clients, out-of-town guests, friends, and family. 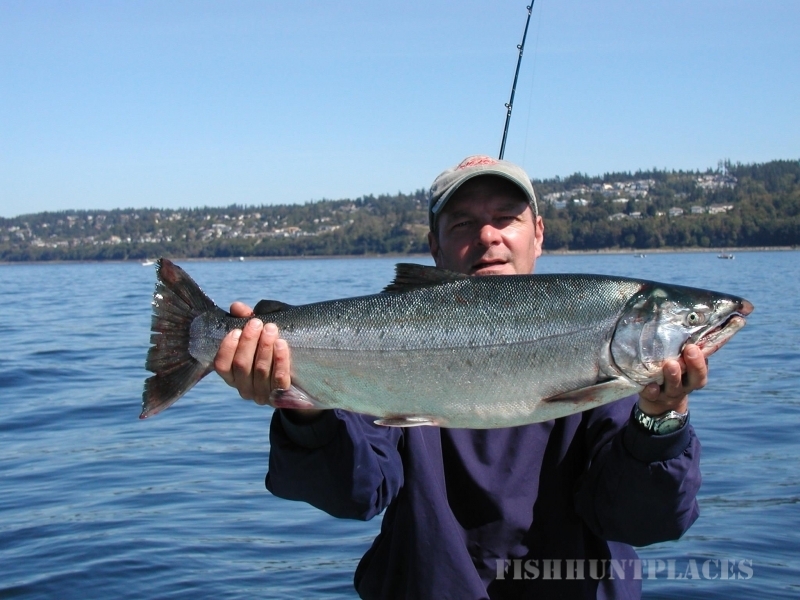 The experience of catching fish and the beauty of Puget Sound is an unforgettable experience. Fishing is one of the best ways to impress a client, seal a deal, and build lifetime memories with friends, family, and business clients. Whether you are an experienced angler or a first timer, Big King Salmon Charters will provide the fishing experience that's right for you. Never been Fishing before? Not a problem. Well show you everything you need to know. You'll catch them we'll net them clean and bag them. 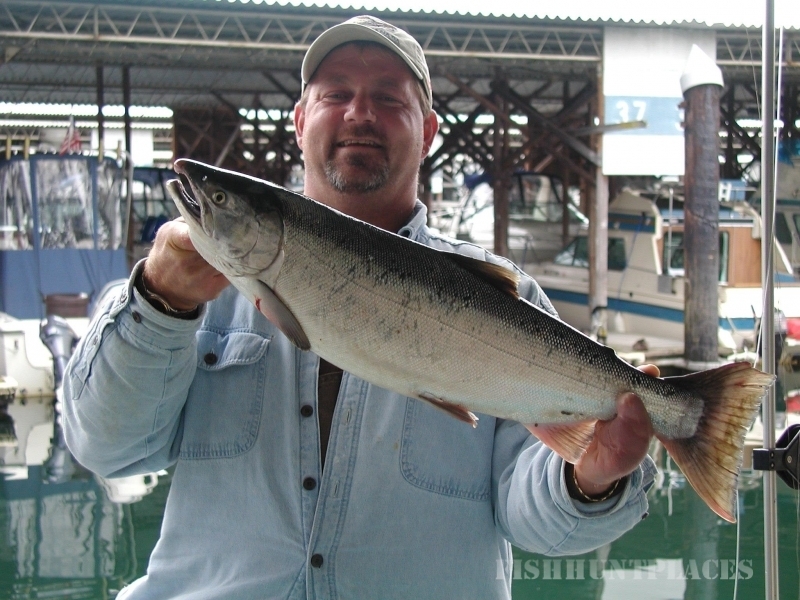 You'll have a great time fishing with us on Puget Sound and the greater Seattle area.